2 fried eggs served on top of 2 corn tortillas served with a side of black beans. Your choice of enchilada sauces. 2 egg omelette stuffed with Chorizo, Edam cheese and salsa and topped with Feta cheese. Served with a side of black beans. A soft flour tortilla filled with 2 scrambled eggs, Edam cheese, crema and salsa. Covered in red sauce served with side of black beans. Soft creamy scrambled eggs with salsa accompanied with 2 corn tortillas and a side of black beans. Corn dough wrapped and steamed in corn husks. Topped with green sauce and crema. 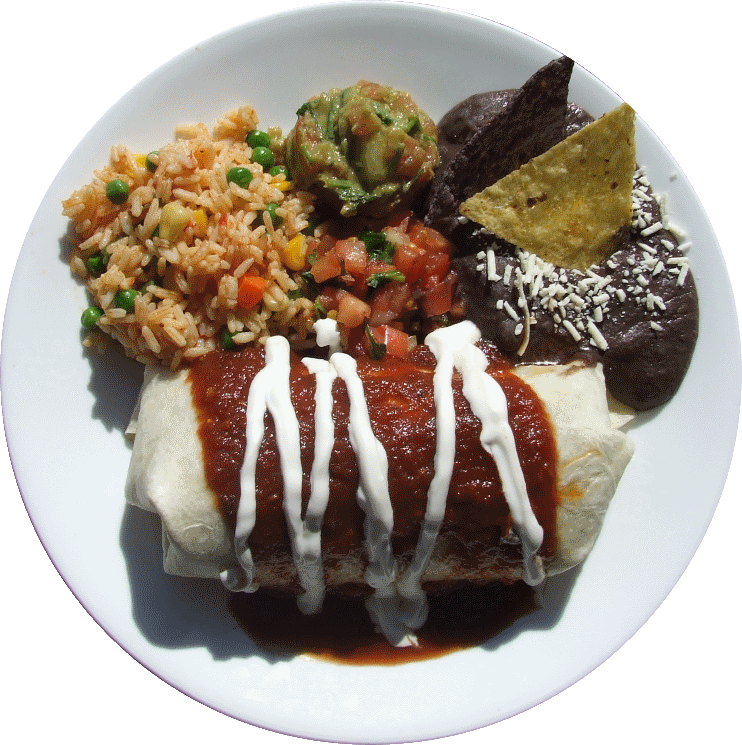 - Chicken / Pork / Bean / Poblano with cream cheese. 6" Soft corn tortilla(s) filled with chicken. 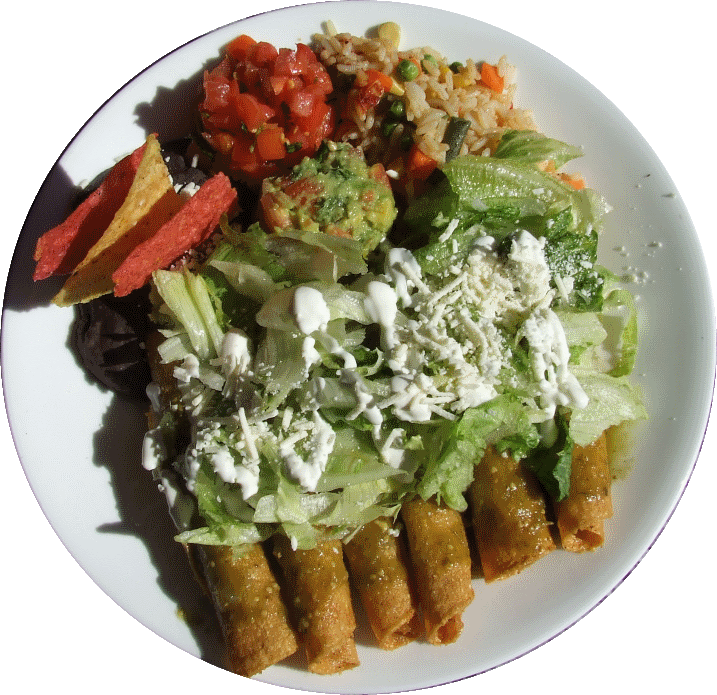 Topped with enchilada sauce, lettuce, crema, and feta (mole - sesame seeds). 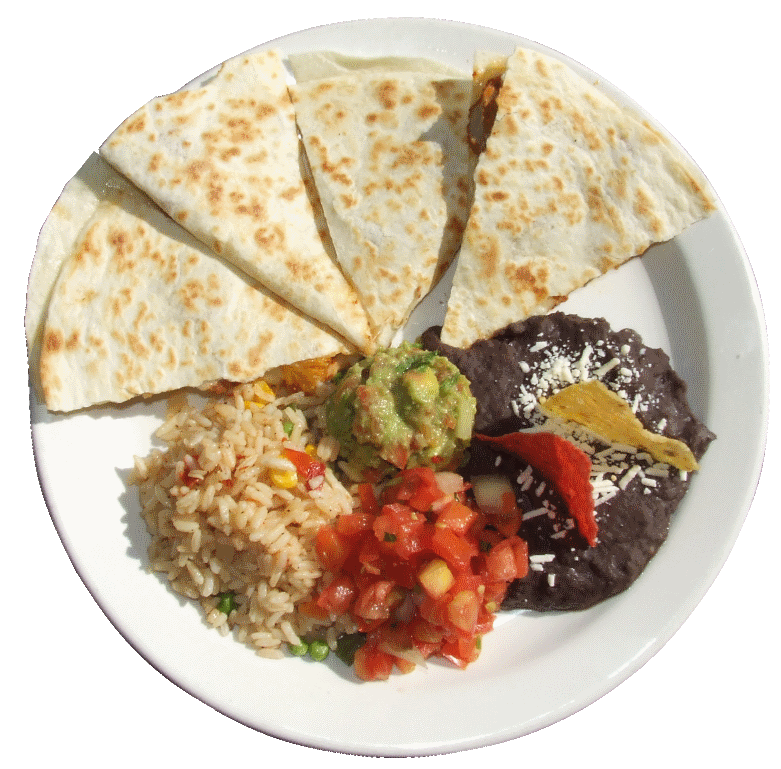 Topped with melted edam cheese, salsa, guacamole, crema and jalapenos. Casserole-style layers of corn tortilla chips smothered in your choice of enchilada sauce. 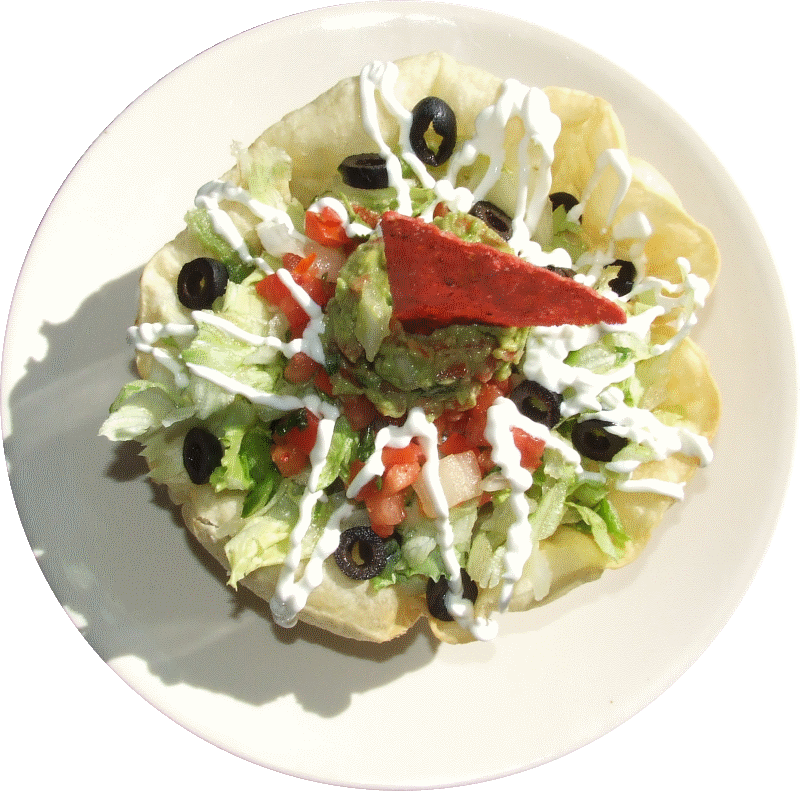 Crispy corn tortilla served with beans, lettuce, salsa, crema and feta cheese. Thick deep-fried corn dough tortilla served with beans, lettuce, crema and feta cheese. 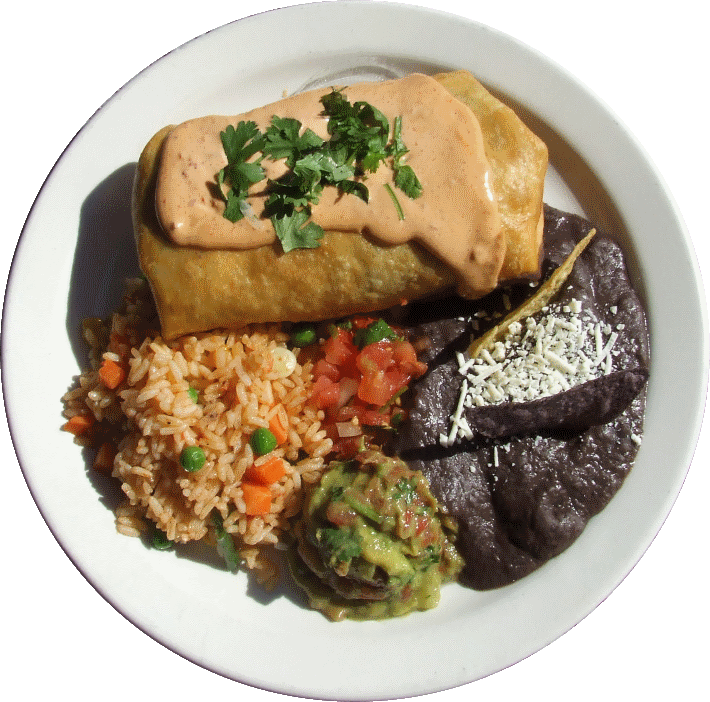 Topped with your choice of enchilada sauce. - Beef / Chicken / Pastor / Chorizo / Chipotle Veggies / Cheese. 2 pork sausages topped with melted edam cheese. 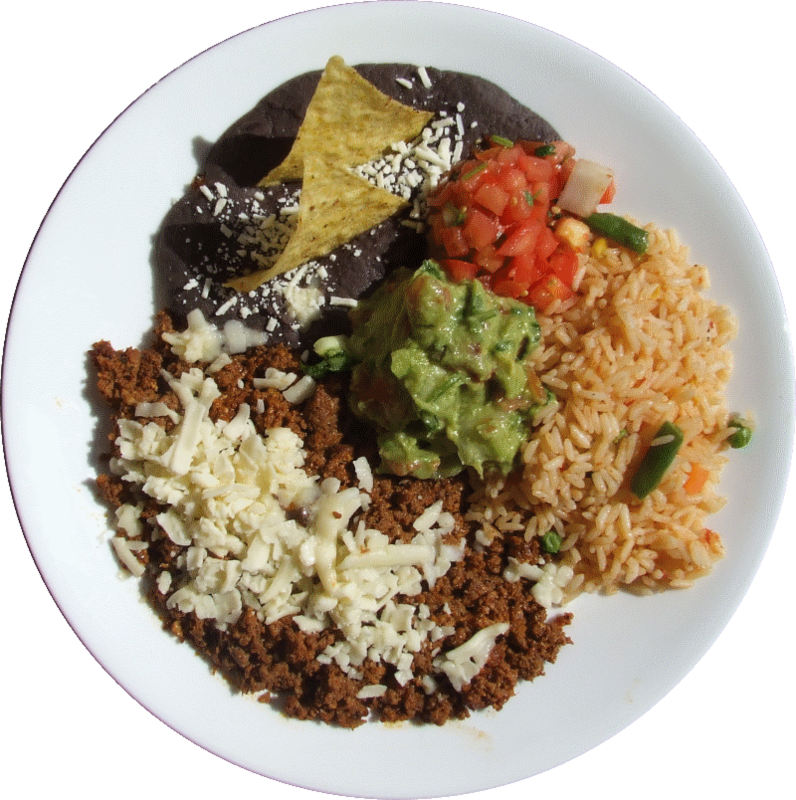 Served with black beans, salsa, guacamole and 3 corn tortillas.